Space junk has become a major threat for future space exploration. Predictions indicate that we actively have to remove space junk to not to litter the earths orbit completely. 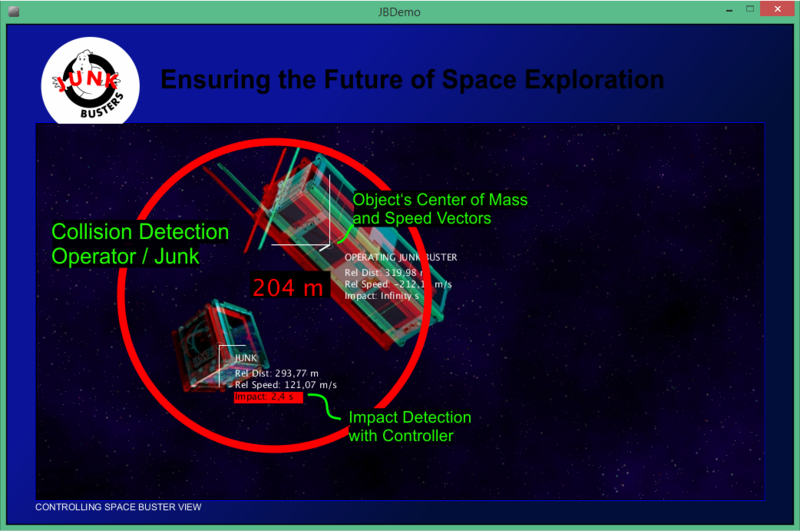 In order to reduce the amount of junk in space we are using 3D stereo data to locate, track and navigate space debris which is then actively removed. We use a hardware stereo sensor consisting of two industrial cameras in order to gather 3D depth data. In addition we visualize the relative movement of objects in space. The increasing amount of space junk  is a human made problem. We came up with the idea to use the NASA SPHERES platform  for developing autonomous satellites with stereo vision cameras to actively remove space junk. Our vision consists of two or more paired SPHERES: An observatory unit and one or more operational units. They can detect space debris and remove it in a safely manner, for example by using an ion thruster or by attaching a chemical thruster to old satellites. 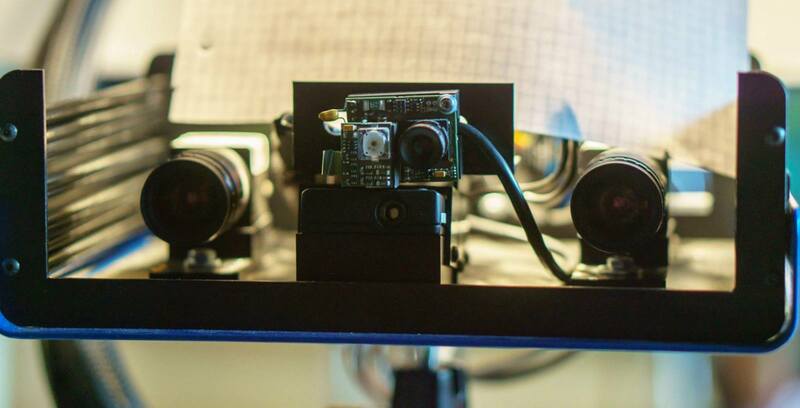 Having our idea in mind we used a real stereo camera setup (IDS uEye, see Figure 4), our laptop web-cams and virtual demos to develop our implementation. 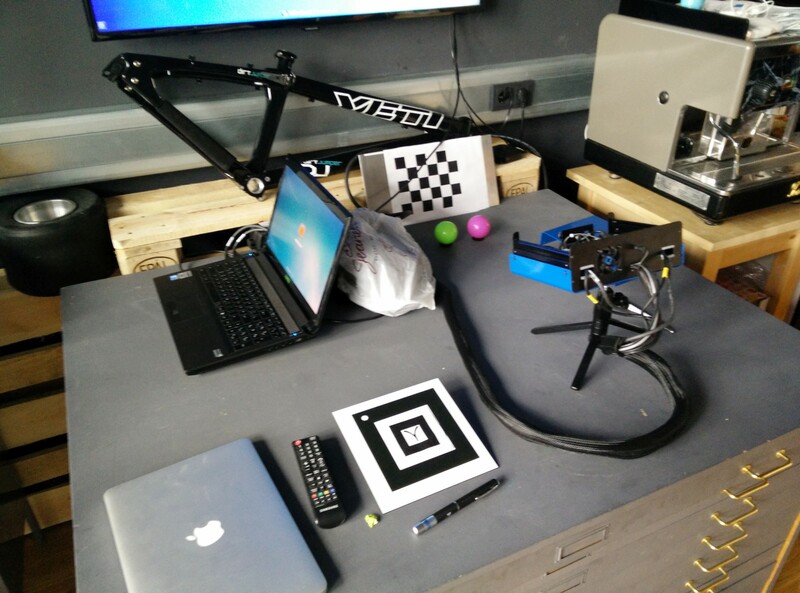 Figure 5 shows our live demo setup with some calibration targets. The magenta ball simulates some piece of space junk and the green ball is an approaching junk buster unit. The whole scene is seen by our stereo sensor which is used to reconstruct the 3D scene. We created a set of software to demonstrate our vision and concept. There are two main parts: Image processing / 3D reconstruction and the data interpretation plus visualization. o Interactivity: The operational Junk Buster follows the mouse. Scrolling edits the depth value set. The original plan was to code a proof of concept in MATLAB by using different toolboxes. But then reality kicked in and we experienced minor issues. 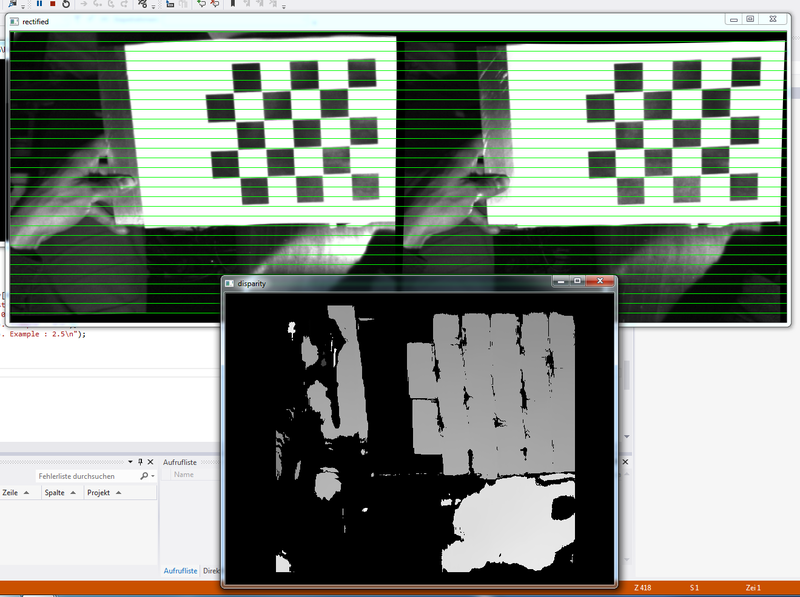 So we had a NOGO decision for MATLAB and switched to coding in C++ using OpenCV. All the initial space trajectory processing was developed in MATLAB and afterwards ported to C and Java (Processing). By using an optical method of debris detection on board of the SpaceBots, they can track and remove objects which cannot be tracked with the needed accuracy by existing ground based tracking systems. We utilize the stereo data to deliver 3D information for approaching space debris. With the existing NASA SPHERE program there is an opportunity of testing our systems which than can be used for the greater purpose of removing space junk. We think it's time for starting to save the future of space exploration now! 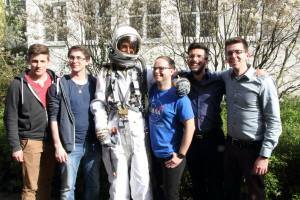 Thanks to the members of staff at Lab75, our host at Space Apps Challenge 2015 at Frankfurt. We also thank Prof. Dr. Stephan Neser for supporting us with the stereo camera equipment and MATLAB advice. "Orbital Debris FAQ: How many orbital debris are currently in Earth orbit? ", NASA, March 2012. SPHERES Satellites, NASA, August 2013. 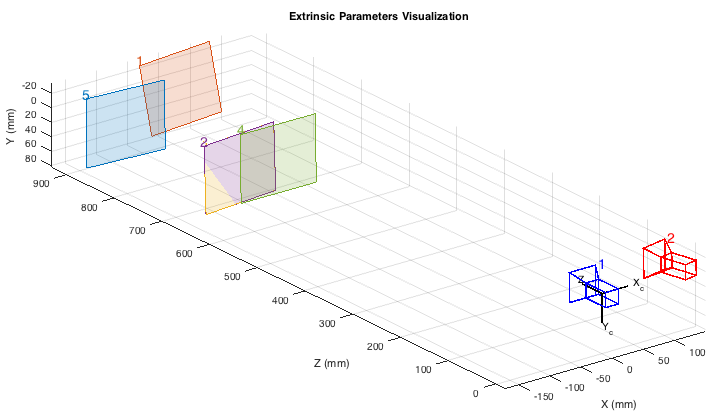 The Visual Estimation for Relative Tracking and Inspection of Generic Objects (VERTIGO) program, MIT Space Systems Laboratory. 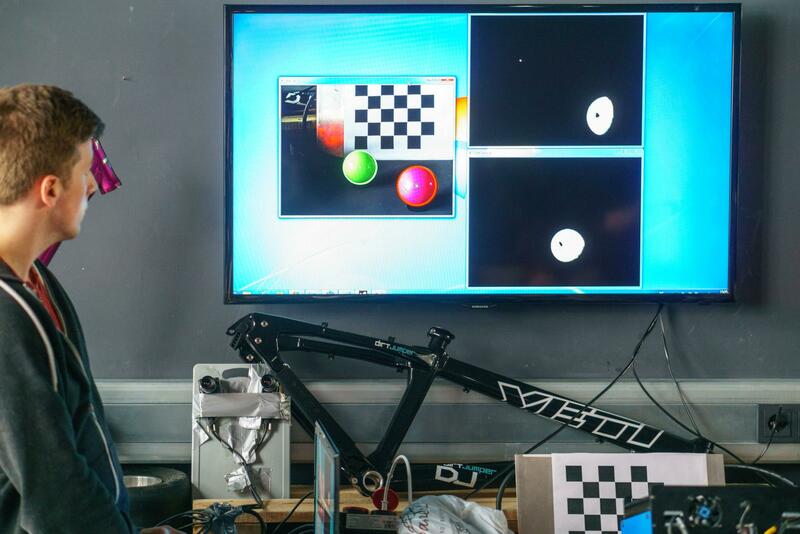 Camera Calibration and 3D Reconstruction, OpenCV, February 2015. From left to right: Philipp, Tim, Astro-Jared, Marcel, Eduardo, Sebastian. JUNK-BUSTERS Team with Astro-Jared at Lab75, Frankfurt on 12. April 2015. This project was worked on during the NASA Space Apps Challenge 2015 (11.-12.04.2015).